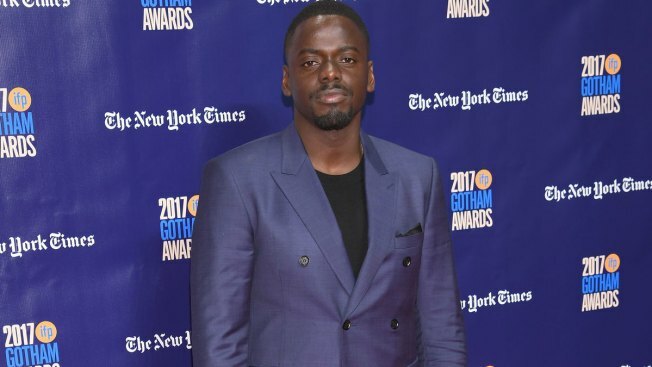 Actor Daniel Kaluuya attends IFP's 27th Annual Gotham Independent Film Awards on November 27, 2017 in New York City. When Daniel Kaluuya read Jordan Peele's script for "Get Out," he had one question: "Are you allowed to make films like this?" Peele proved that you are; Kaluuya, a 28-year-old British actor, landed the lead role. Ever since then, his life hasn't been the same. "Get Out" became a box-office sensation, a cultural landmark and an unlikely Oscar contender. Previously an up-and-coming actor with a few notable roles in film, theater and television, Kaluuya has been catapulted not just into awards season, but has since co-starred in two much anticipated films: Ryan Coogler's "Black Panther" and Steve McQueen's "Widows." "It's been a life-changing year," Kaluuya, who was just nominated for a Golden Globe best actor trophy, said in a recent interview. It started with "Get Out." Kaluuya anchors the thriller as the protagonist Chris Washington, a black man whose first visit to the family home of his white girlfriend (Allison Williams) becomes a terrifying descent into a racist reality seldom depicted on screen from a black perspective. "I felt like this was going to make people really uncomfortable for the right reasons," said Kaluuya. "Racism is like a horror movie. Black kids die because of racism. I don't know what's more horrifying than that." The decision to submit "Get Out" to the Golden Globes as a comedy, instead of a drama, caused a stir. Kaluuya shrugs his shoulders. "It's about issues that are not funny," he says. What he does find genuinely hysterical though, is that "Get Out" has become a major awards contender despite having no initial aspirations to the Academy Awards whatsoever. It came out the same weekend as the last Oscars in February. "It's nice that it's breaking the rules in a sense," he says, "but I don't know why there were rules." It's just one more example of the conversations kick-started by "Get Out." "I go to music festivals and people want to talk to me about racism. I'm like: 'Bro, I'm trying to have fun!'" said Kaluuya, laughing. "But a lot of non-white men come up to me and say, 'I've been there in that house.'"